"I work, work, work, work, work. I take every extra pay job I can do, and I never quite get ahead," said Powers, who shares the home with her boyfriend and their two young children. Powers' family is reflective of many in this California city just inland from the tourism-rich Monterey Peninsula and an hour's drive south of Silicon Valley. It's surrounded by farmland that produces most of the world's lettuce and inspired hometown author John Steinbeck's "The Grapes of Wrath." Salinas — known as "Salad Bowl of the World" — is one of America's least affordable places to live, exemplifying a housing crisis that plagues California's rural and urban areas alike. 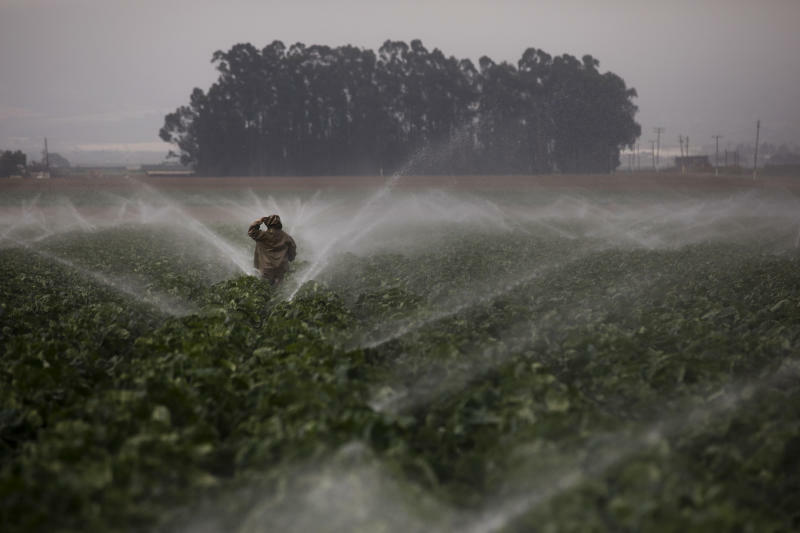 Salinas families earn a median income of $69,000, while the region's 90,000 farmworkers bring in far less. They face a median home price of nearly $550,000 and two-bedroom apartments costing roughly $1,800 a month, according to Zillow. California politicians can't ignore the issue as they try to balance people's needs in a state that's home to extreme riches and the world's fifth-largest economy but also places like Salinas, where multiple generations pack single-family homes, people turn backyard sheds into illegal bedrooms and families worry over how to pay their bills. Residents know rent control isn't the best long-term solution — economists widely agree it cuts down on building — but they're eager to help their struggling neighbors. "Our rents are too high. Something needs to be done," said Noelia Verwulf, a Salinas resident who helped form a group called Viviendas Para Todx or "Housing for All" that's holding community forums, registering people to vote and advocating for housing-related ballot measures. "It's a temporary fix." The Salinas metro area is one of seven in California that ranks in the top 10 least affordable in the United States, according to an analysis of 2016 census data by Harvard's Joint Center for Housing Studies. Sprawling Los Angeles, wealthy Santa Barbara and rural Redding also make the list, highlighting the near inescapability of the crisis. The federal government considers housing unaffordable if it eats up more than a third of a family's income. More than half of California renters and nearly a third of homeowners spend that much or more. Salinas residents call the divide between the inland city of 157,000 and wealthier coastal cities such as Monterey the "lettuce curtain." More than 70 percent of Salinas is Hispanic or Latino, according to census data, and about 80 percent of the region's farmworkers live there year-round. To save money, Powers, 39, and her boyfriend, Jean-Paul Varagnat, rented out the master bedroom of someone else's home — an arrangement she repeated at her own house to afford her $2,300 monthly mortgage. "I knew I was never going to be wealthy, but I didn't think it was going to be quite this difficult," Powers said. Democrat Anna Caballero, who represents Salinas in the state Assembly, opposes the measure but said she understands why the city's angry residents support it. It feels like "the only thing you can do to get the attention of people who own rental housing units is to do something drastic," she said. "It's the wrong solution, but I understand why they grabbed it because it looks like a solution." Caballero is running for the state Senate this November in the top swing district, a seat now held by a Republican who's reached term limits. If Caballero wins, Democrats could get back a supermajority that gives them power to raise taxes without Republican support and furthers the party's grip on power in California. Interviews with roughly two dozen Salinas residents reveal a general belief that local, state and national politicians lack a grip on the reality of the region's housing crisis. Few said it would motivate them to vote for a different party, instead calling it one of many issues that revealed a need for fresh voices. Verwulf's 20-year-old daughter, Victoria, said housing — not the midterm election — drove her to activism. "We don't get to go to school and get involved in community organizing and activism because it's interesting and it's trendy," she said. "We have to do it now to survive because this is our life. This is our reality." 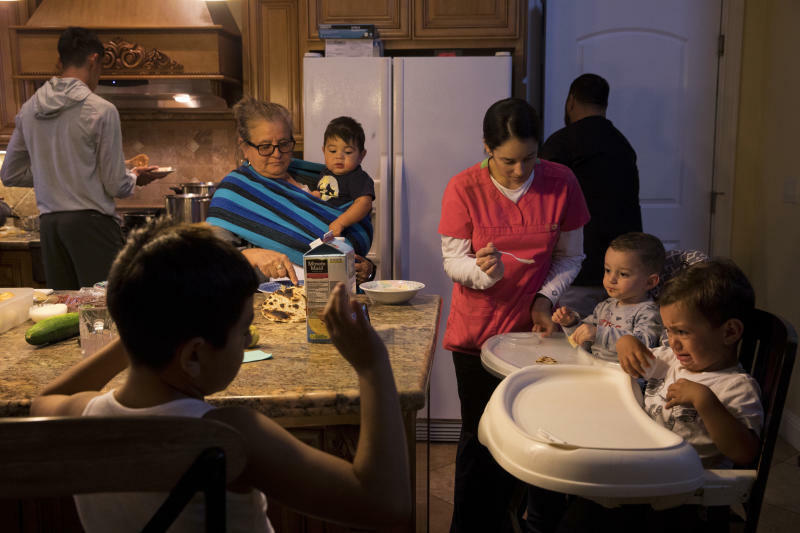 Carissa Purnell, director of the Alisal Family Resource Center that helps Salinas' low-income and farmworker families navigate housing struggles, say children sleep on crates that their parents use to pick strawberries because they don't have beds. "The things that are happening in our families are all stemming from these housing situations that we've created for each other, and the fact that no one is calling it out is frustrating," Purnell said. Purnell's center is in east Salinas, a neighborhood of tightly packed, ranch-style homes. Cars overflow driveways and spread onto lawns, while garages brim with boxes that can't fit in cramped living areas. Nunez didn't expect his children to be back at home but wouldn't turn them away when two lost their houses to foreclosure. 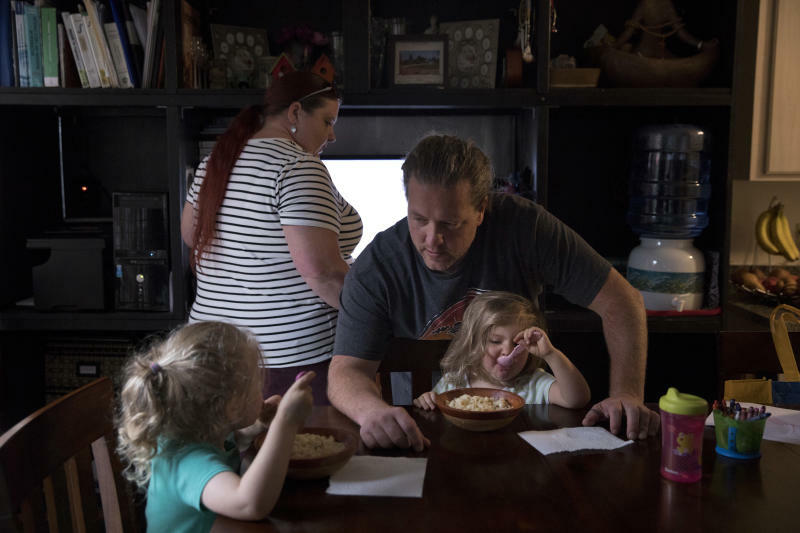 His son Miguel now is struggling to find an affordable house for his family that won't require them to live paycheck to paycheck or restrict themselves from "outings, from wants from the baby, from vacations," Miguel's wife, Sasha, said. "You get comfortable and you're happy here," she said one evening while feeding their nearly 2-year-old son in the noisy, bustling kitchen. "But there's nothing like having your own place." One of Nunez's daughters, Araceli, also lives there with her husband and three children while they expand their small house down the street to fit their growing family. Buying a bigger home is too expensive, she said. So her family of five shares a bedroom stuffed with two queen beds, a television and makeshift dressers for clothes that won't fit in the closet. A wooden chest for her infant son's clothes sits in the hallway. Salinas soon hopes to build more than 10,000 homes on the northeast edge of town now covered by fields. Repurposing farmland, which abuts many neighborhoods, is seen as the best option for finding new space even as it takes away part of the city's lifeblood. Still, some are concerned it won't be enough. A plan to bring commuter rail from the heart of Silicon Valley into Salinas could make the new homes a cheaper alternative for tech workers priced out of neighborhoods closer to work. "We have an insatiable need for housing," City Councilman Scott Davis said. "No matter how much housing we build, we'll never have enough."